Go simply chic with this always on-trend tennis bracelet! 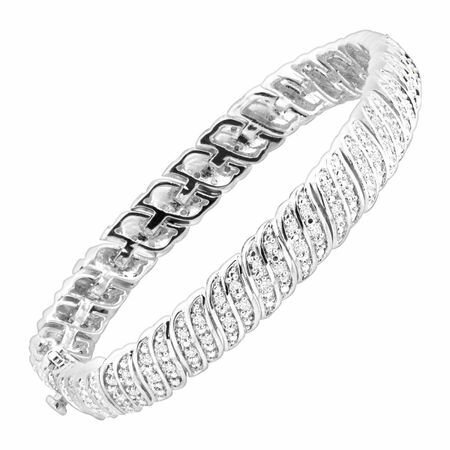 A total of 1/4 ct round-cut diamonds decorate this sleek bracelet, crafted in sterling silver-plated brass. Piece measures 7 1/4 by 1/4 inches.